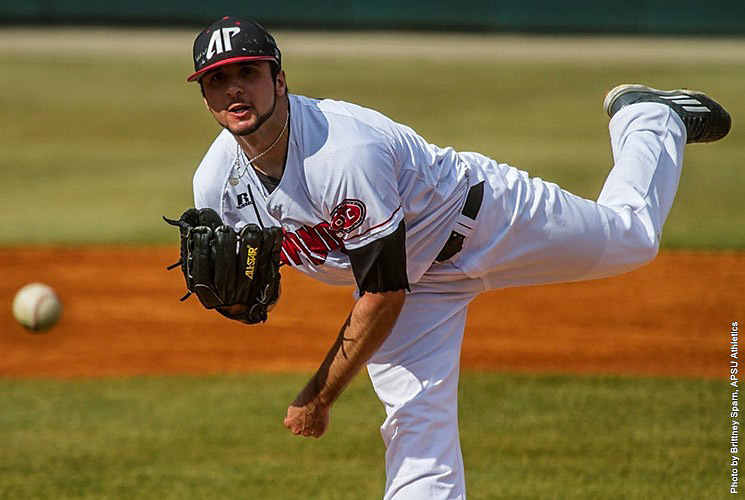 Clarksville, TN – Sophomore left-handed pitcher Michael Costanzo carried a no-hitter into the seventh inning and got some early run support as Austin Peay State University’s baseball team won Game 2 of its three-game series against Bradley, 8-4, Saturday, at Raymond C. Hand Park. Costanzo (1-0) found his stride early on, striking out Bradley in order to start the game. He would hit the first batter he faced in the second, but battled back with back-to-back pop outs before notching his fourth strikeout to end the inning. The Chicago, Illinois native then picked up the pace by retiring the next 13 batters he faced, running his streak to 16 consecutive outs. Costanzo would allow a one-out walk in the seventh before surrendering a two-run home run that ended his outing. He went 6.1 innings, allowing the two runs on one hit and one walk while striking out eight batters. Reliever Jared Carkuff would follow and would surrendering a two-out, two-run home run that trimmed the APSU lead to 6-4. But Carkuff retired the last four batters he faced before turning the ball over to reliever John Sparks who faced five batters in the ninth but did not allow a run. The Govs offense wasted little time giving Costanzo a comfortable lead. 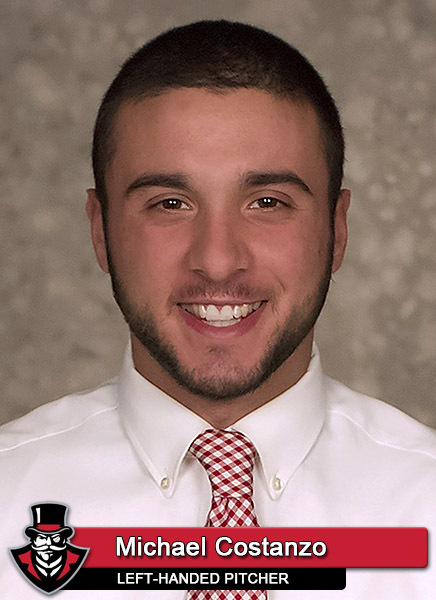 Third baseman Logan Gray put the first Govs run on the board with a triple into the right-field corner, scoring second baseman Garrett Copeland, who walked to start the inning. Left fielder Cayce Bredlau added a run on a ground out and center fielder Patrick Massoni capped the frame with a two-run double for a 4-0 lead. Austin Peay (2-0) added to its lead in the third with Gray searning a base on balls to start the rally. 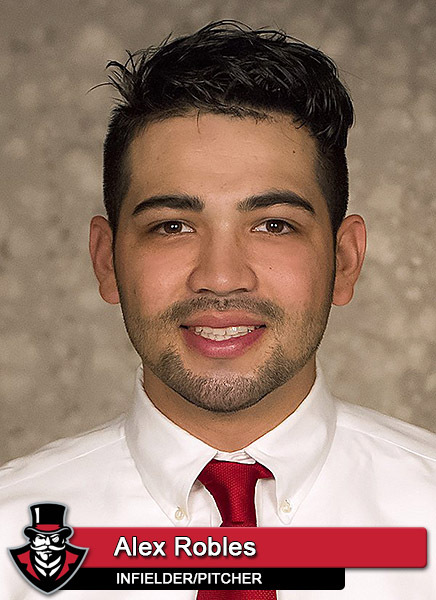 Bradlau followed with a triple into the right field corner, scoring Gray, and designated hitter Alex Robles added a RBI double to give APSU a 6-0 advantage. Bradley (0-2) broke through in the seventh when first baseman Paul Solka hit a two-run home run to end Costanzo’s outing. Left fielder Evan Gruener tacked on a two-run home run, cutting APSU’s lead to 6-4. But shortstop Clayton Smithson responded with a leadoff home run in the bottom of the seventh, extending the Govs lead back to three runs. Austin Peay added a final run in the eighth when pinch runner Kyle Blackburn scored on an error. Robles finished the day 3-for-4 with a RBI to pace the Govs seven-hit attack. Massoni finished with two RBI and was 1-for-4 at the plate. 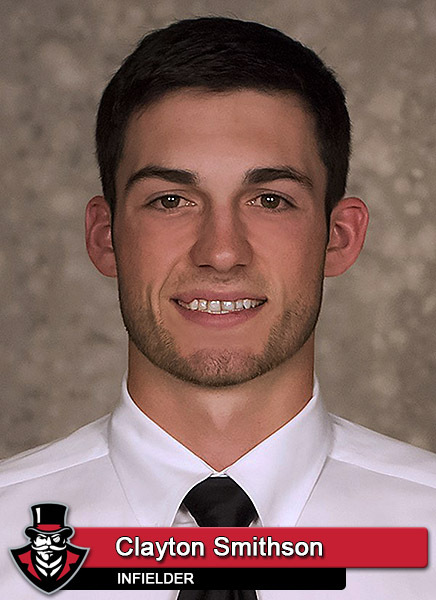 Bradley starter Cameron Roegner (0-1) suffered the loss after allowing six runs on five hits and three walks over three innings. Reliever Nathan Stong retired the first nine batters he faced before allowing the Smithson home run. He finished his outing allowing two runs on two hits while striking out six over 4.1 innings. Designated hitter Allan Beer went 2-for-4 while Solka and Gruener each had two RBI in Bradley’s four-hit outing.